If event managers are the unsung heroes of any organization (and they are), event managers at associations are super heroes. Not only do you share the crazy work load of managing events but you’re likely wearing multiple hats, dealing with constrained budgets and limited staff. And yet association conferences are consistently some of the most impressive and creative we come across. We love to give association event managers, association professionals (aka #assnprofs), a helping hand with their jobs. That’s why we’ve compiled our list of favorite online resources for #assnprofs. Ranging from engaging communities to insightful websites and helpful Twitter feeds, you’re sure to find an online resource that will become a trusted adviser. PCMA Catalyst: You need to be a PCMA member to access this community but those who are will be privy to a lively community with many association-centric discussions involving experienced and knowledgeable event professionals. Eventovation: If you're looking for the largest community around, look elsewhere. 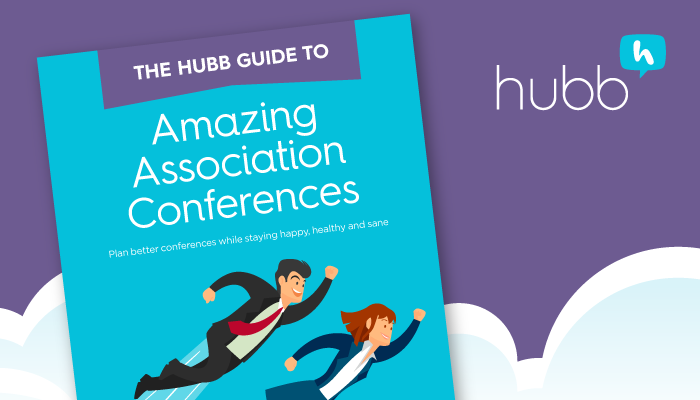 But if you want an active, highly engaged community of experienced #eventprofs and #assnprofs, make sure you check out this great Facebook group created by event tech startup Bizzabo (they also have an excellent blog). Event Planning & Event Management: An offshoot of the popular Event Manager Blog, we'd be shocked if this wasn't the most active event professional-centric community online. Comprehensiveness is its main selling point; the 350,000+ members range from CEOs to conference directors to students to…professional magicians. It's diverse, and that's why it’s so consistently interesting and helpful. Associations Now: Created by ASAE, Associations Now and their Twitter feed provides a stream of wide-ranging content for #assnprofs that goes beyond just meetings-related content. Pro tip: sign up for their daily newsletter! Event Manager Blog: No site in the events space— association focused or otherwise—walks the line between insight and entertainment as well as Event Manager Blog. And the sheer volume of quality content that release will leave you impressed. Although not solely for associations, their content is highly relevant for #assnprofs and they frequently write association-focused content. Bookmark it! Velvet Chainsaw: The home of a team of razor-sharp meetings-focused consultants, Velvet Chainsaw is the place to go for forward-thinking advice on how associations can get the most out of events. Association Success: Brought to you by two event tech startups, Associations Success is the new kid on the block, but they've been developing a plethora of interesting and useful content for #assnprofs, including live discussions with association thought leaders and other content relevant to association leadership. Bonus: their Community is a good place to find relevant articles of help to #assnprofs. @SmooththePath: Featuring prolific bite-sized insights from her own website, Amanda Kaiser's Twitter feed is a great resource for daily insights on association strategy. @deirdrereid: Formerly an association executive and now a freelance writer covering associations and technology, Deirdre Reid does a great job with highlighting relevant articles for #assnprofs. #assnchat / @kikilitalien: #assnchat is a weekly discussion held every Tuesday at 2pm ET. Anybody can submit questions on Twitter using the hashtag #assnprofs. Hosted by @kikilitalien (whose feed is also worth following for #assnprofs), you can listen in to the chat in podcast form or watch on Facebook Live. No matter where you follow along, #assnchat is a great opportunity to ask questions, or watch association thought leaders discuss important topics. What other online resources would you recommend for association professionals? Want to see more lists of resources for event professionals? Check out the lists below!